We headed to Venice for a long weekend and in the middle a short day trip to the micro-country of San Marino. This trip ticked off a lot of items on our list. 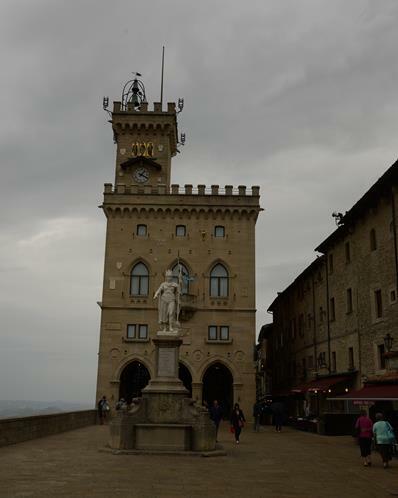 Previously we had been to Florence, Turin, and Trieste. Plus the jaunt to San Marino was Greta's 21st country and means there is only one more European micro country on my list: Monaco! We packed a lot into 5 days. 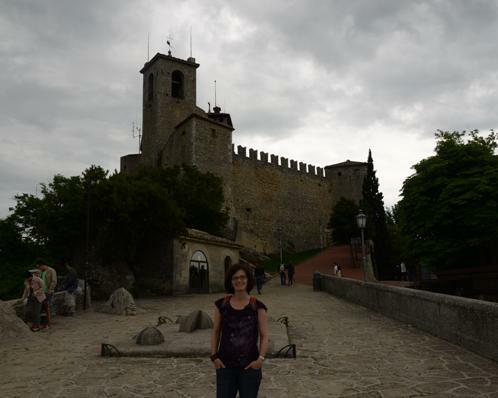 We did walking tours of the main sections of Venice, drove to San Marino for a day and spent a morning at the beach. 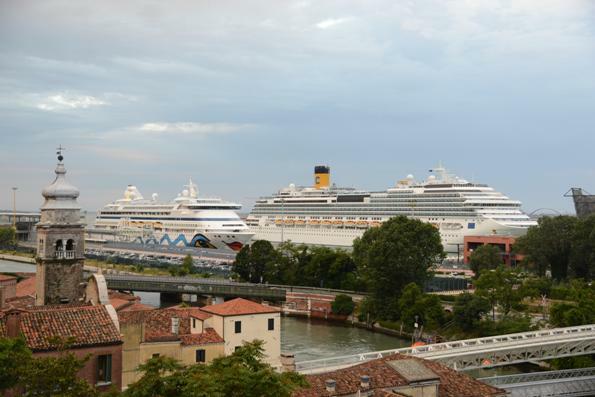 It seems like most visitors come via one of the huge cruise ships and only stay for a few hours. 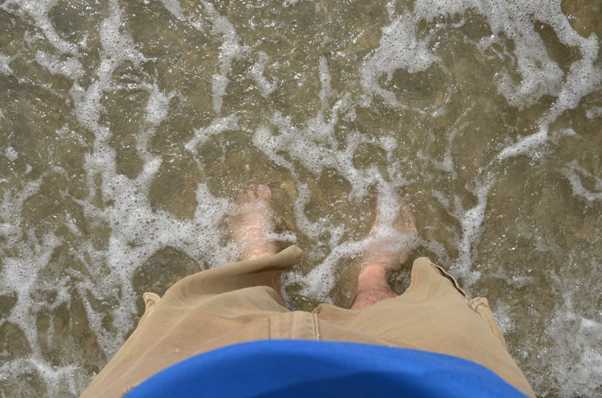 It was nice to relax and not be rushed and we really enjoyed just walking around. 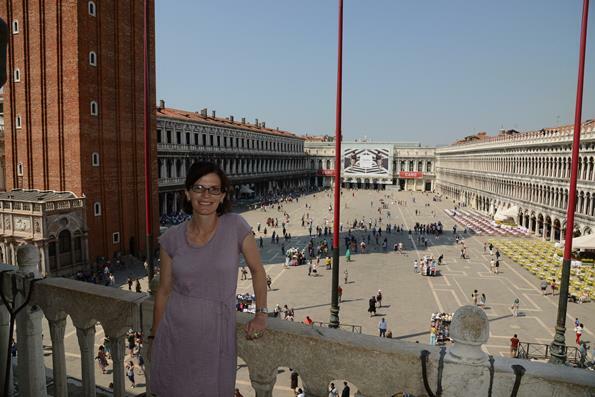 Our itinerary was based on the Lonely Planet Venice & The Veneto city guide. We usually buy a Lonely Planet book for our trips, but this particular one was organized perfectly for our trip. 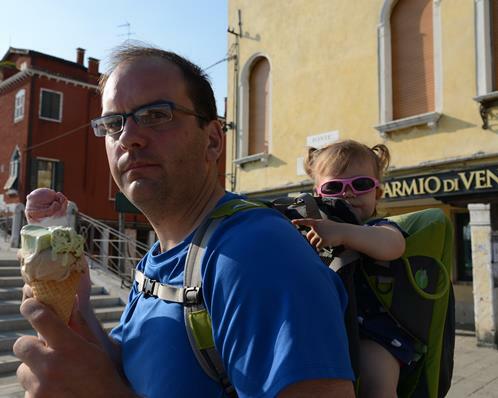 With Greta needing an afternoon nap, the section with walking tours was great and usually only required a couple hours - perfect to split up the day and allow for naps. Overall, the apartment location Erynn found was perfect, the weather was perfect, and our toddler cooperated. 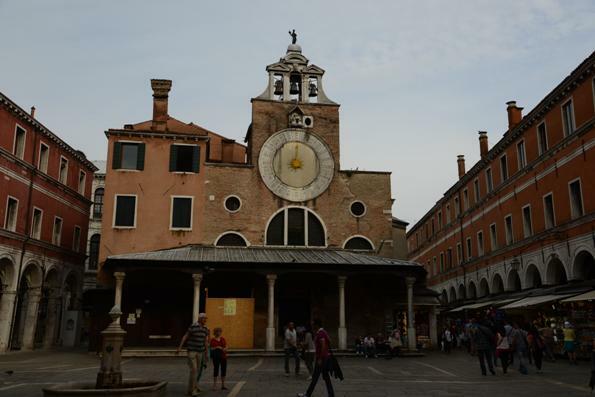 The city was amazing and outside of the crush of tourists in San Marco, the city was pleasantly accessible for our trip in June. So our recommendation is to allow a few days, walk around and just soak in the city. 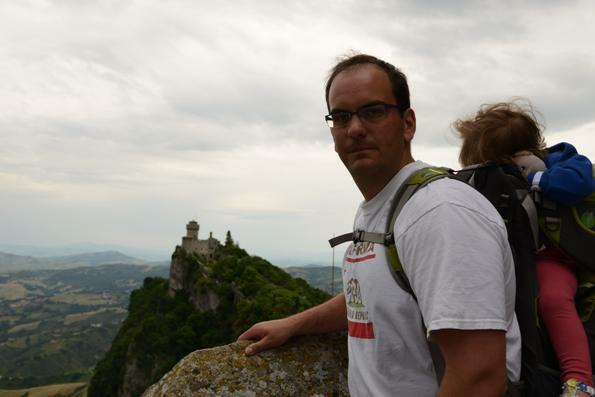 For full resolution photos from the trip to Venice and San Marino click here. 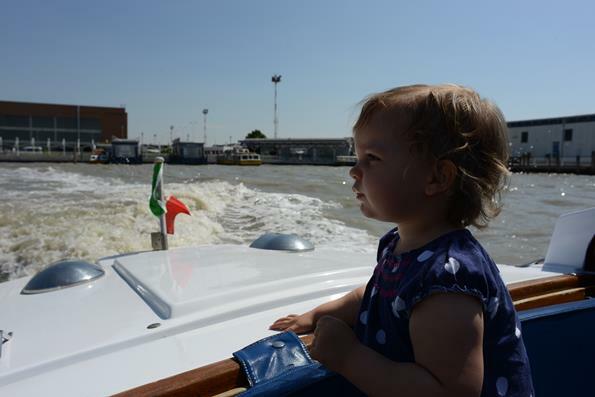 We flew from Germany where we currently live to Marco Polo Airport and took a water taxi to our place. 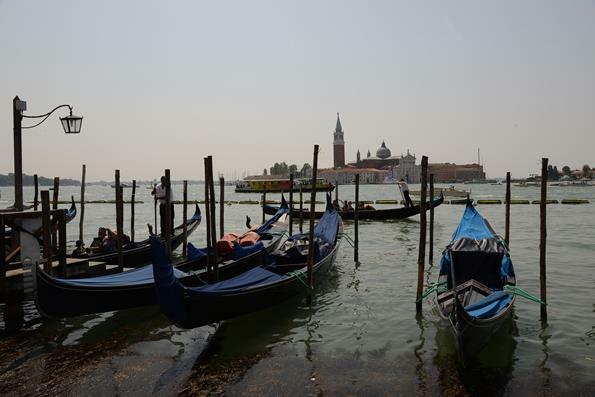 We pre-booked a water taxi, but it seems that you could have just booked one there. The water taxi station is only a few minute walk from the terminal. Not very cheap, but super convenient. 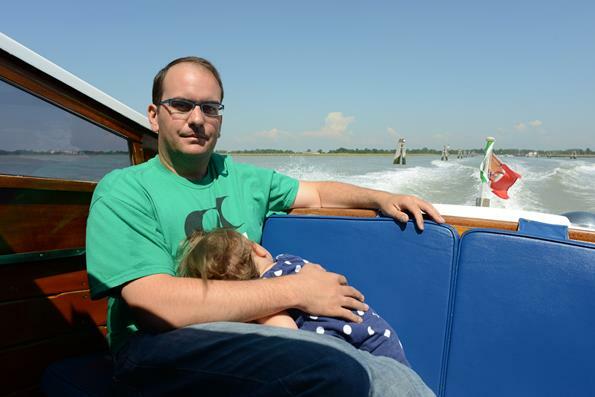 We thought Greta would enjoy the boat ride and she started out ok. Then about 3 minutes into the trip she put her head in my lap and fell asleep. In two years of life she never fell asleep in my lap, so we took a lot of photos to commemorate the moment. 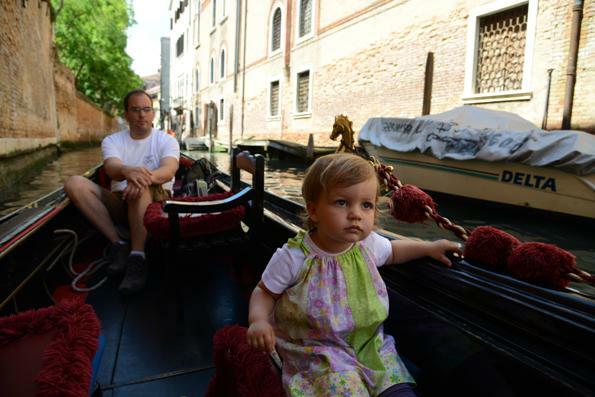 The water taxi ride to our place in the Dorsoduro neighborhood (sestiere) was a mini tour in and of itself. 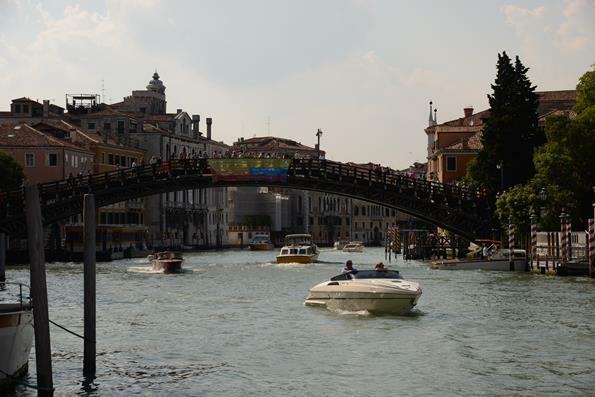 We went through most of the city and a good length of the Grand Canal. 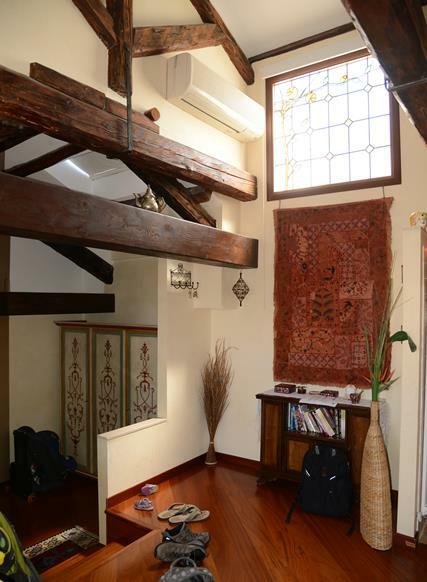 Erynn found a great rental apartment (Ai Pugni) in the middle of the city. It had two bedrooms and a nice living area. 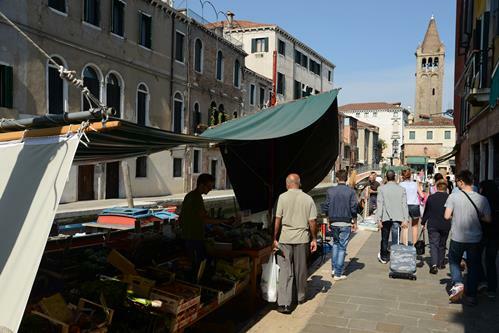 It was right next to the Campo Santa Margherita (large square with restaurants and grocery store), the Rio Tera Canal and a restaurant, L'Incontro. 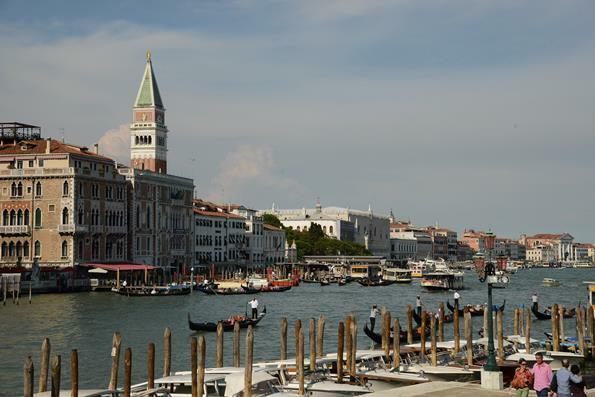 Almost all of the city's main attractions were with 15 minutes walk and the vaporetto (water bus) was only a few hundred yards away. After our arrival we had an afternoon available, so as I mentioned before, we pulled out the Lonely Planet and picked a walking tour. 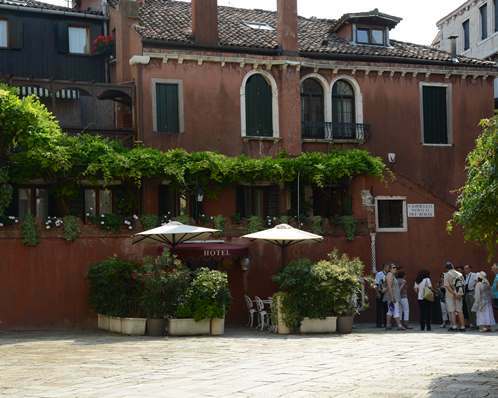 We settled on the neighborhood around our apartment: Dorsoduro. This area is known for its high student population since the university is located here. 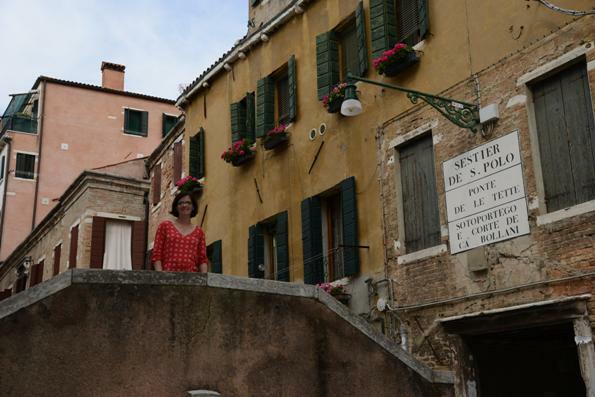 The left photo shows the San Barnaba canal and this photo was about 10 yards from our front door. 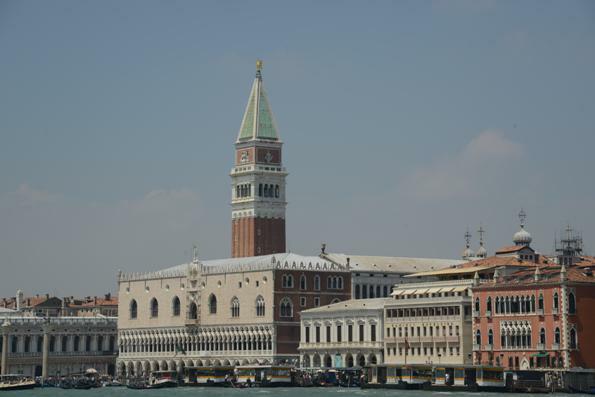 You'll sense a theme that you can fill up a large memory card in only a few days in Venice. Our opinion was that the city was pretty clean and very beautiful. Even though you can walk almost everywhere, boats are a necessity. Also right next to our house was this vegetable market. The store front was full so they employed a boat in front of the store to carry more produce. 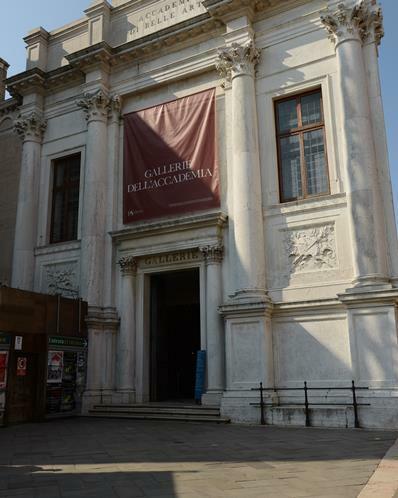 After winding our way through the neighborhood we came upon the first major site, which it the Gallerie dell'Accademia. We didn't go in because I had a 2-year old toddler strapped to my back. Maybe next time. 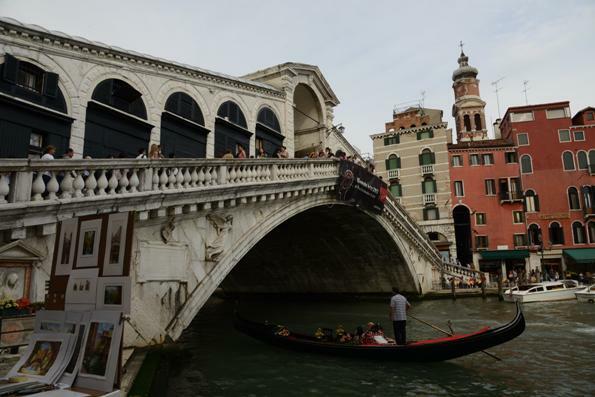 Aside from the art gallery, the area is famous for one of the few foot bridges that cross the Grand Canal - Ponte_dell'Accademia. Apparently, it was meant to be a temporary wooden bridge that somehow became permanent. 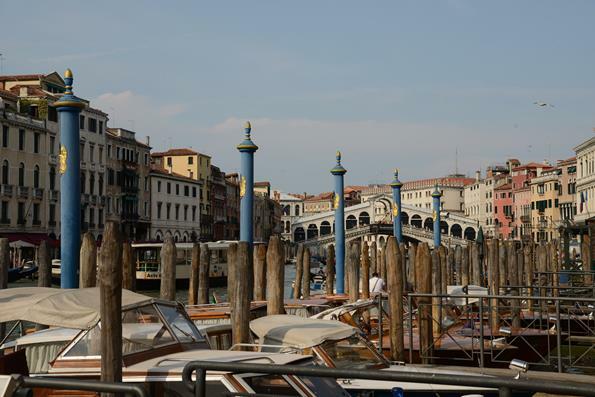 It was my favorite bridge, and for us served as our link to the main tourist areas of San Marco. 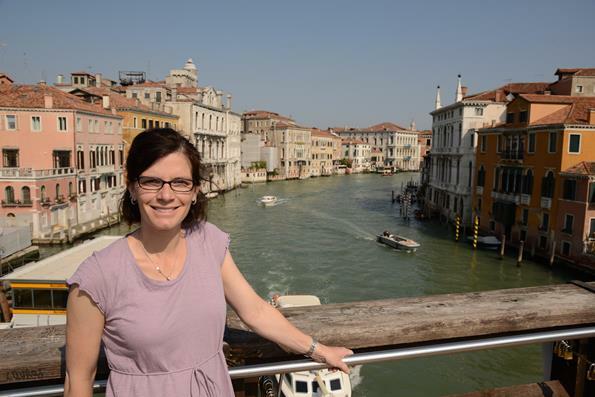 Further along the walk we hit the eastern point of the neighborhood, which afforded good views of San Marco and the Grand Canal. 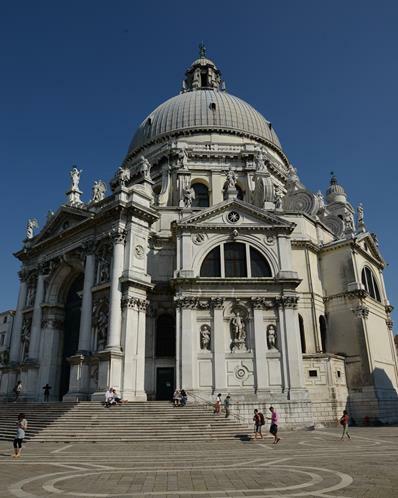 The next stop was the Chiesa di Santa Maria della Salute. 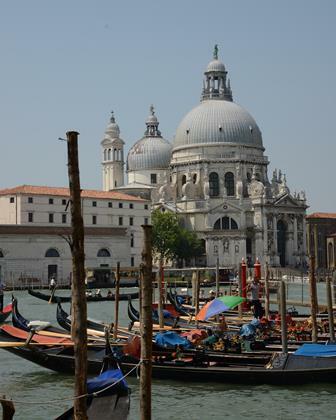 If you're in San Marco square it is the huge white domed church across the canal to the south. It's big and imposing. There is a large square in front of the building and even with a Nikon FX camera and 24mm lens I could only get this rather distorted perspective. 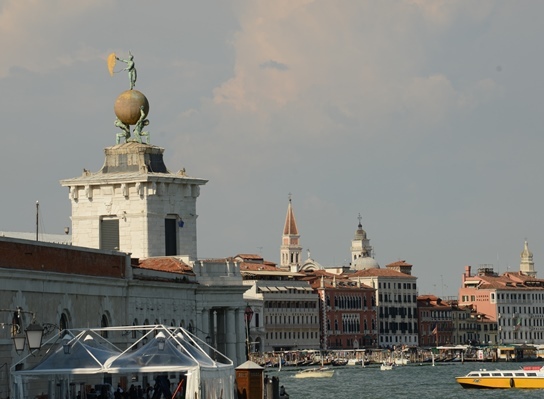 Standing on the easternmost point of Dorsoduro, the Punta della Dogana, you can see to the east the church in the left photo, the Chiesa di San Giorgio Maggiore. 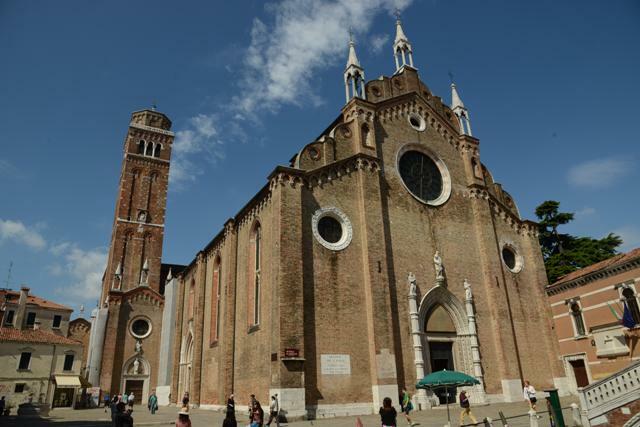 The church covers most of a small island and is in the Giudecca neighborhood. 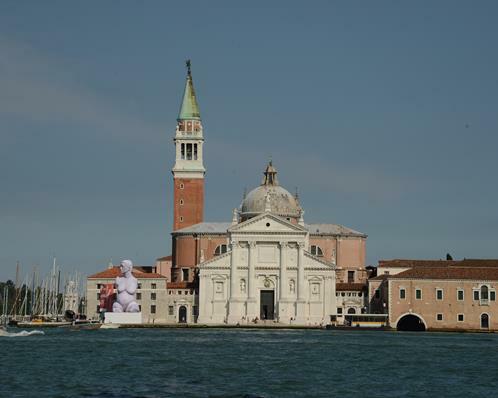 The pink figure in front is an art installation that was part of the Venice Biennale, which is a city wide art festival that occurs in odd numbered years. 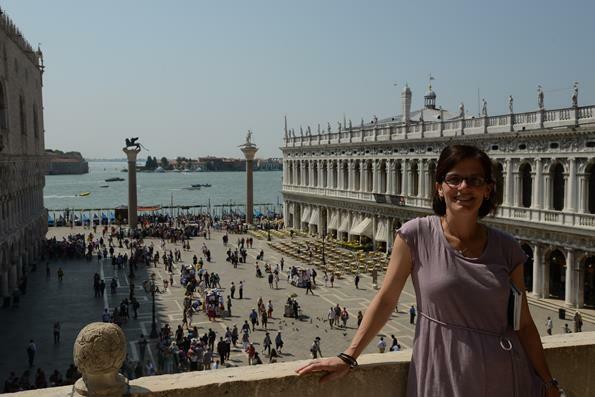 The right photo is the Punta della Dogana with San Marco in the background. The sun was out and it was a long day so we slowly made our way back to the apartment. Greta had been a trooper all day. We woke her up early to catch the plane, and she did great on the plane. 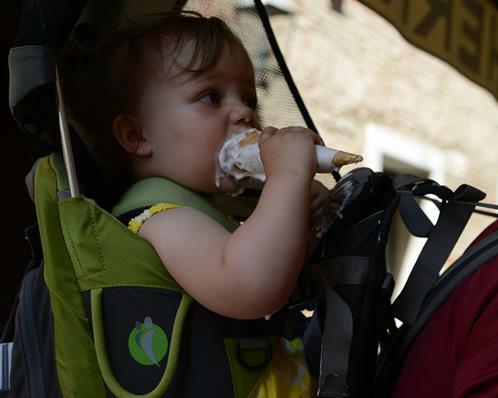 Then she patiently relaxed in the backpack so we thought ice cream was in order and playing in a small square (Campo San Agnese). It was a perfect afternoon! 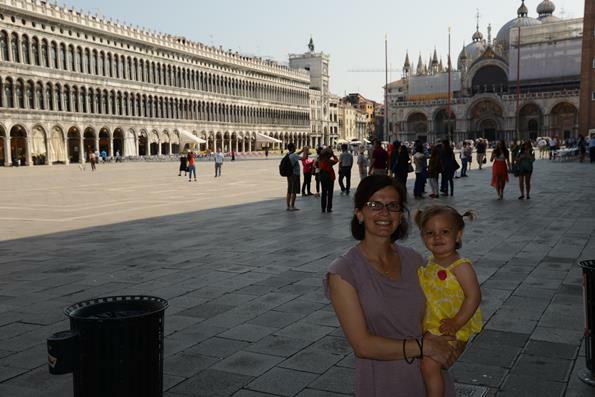 On our first full day in the city we decided to walk around the famous San Marco neighborhood. 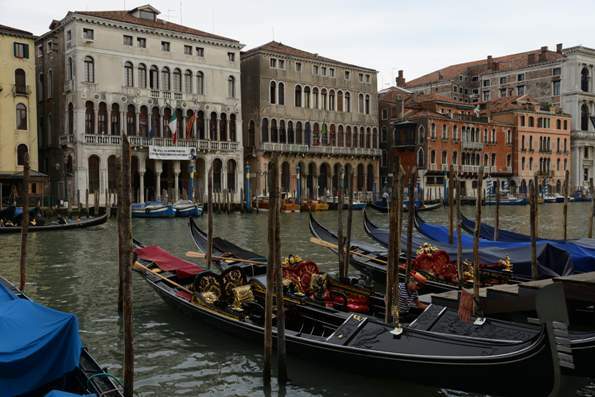 Aside from gondolas and canals, this area is what Venice is known for. 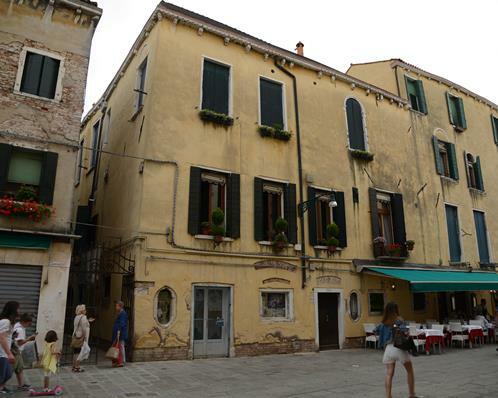 San Marco is just one of six sestieri (neighborhoods). 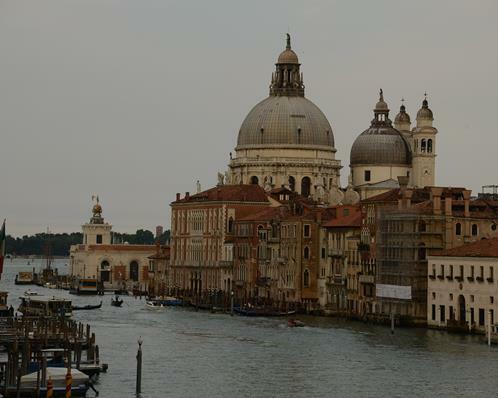 As you cross the Ponte_dell'Accademia you enter the San Marco area, and on the bridge you have great views of the Grand Canal including the Chiesa di Santa Maria della Salute mentioned above. 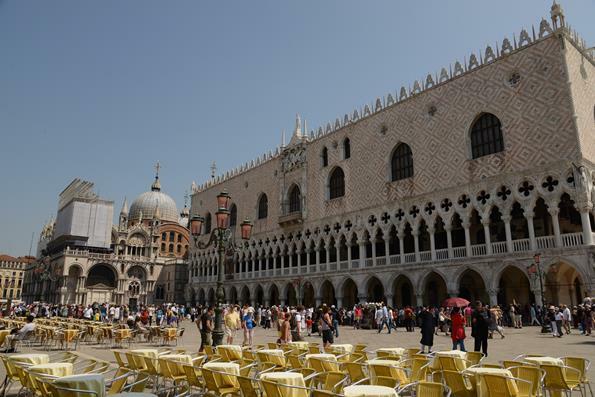 After walking through a few squares and along the main high-end shopping street you enter the Piazza San Marco. 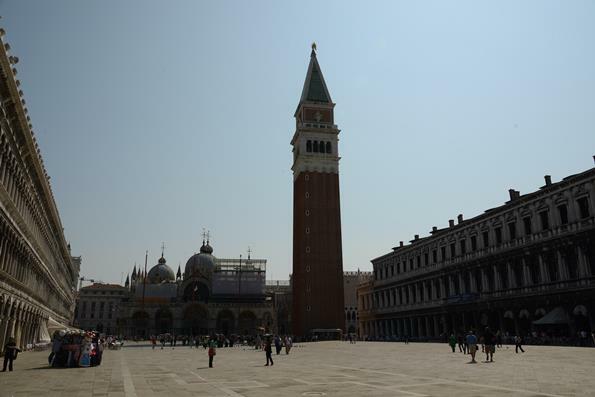 The square is magnificent, and shows the wealth that flowed through Venice. We let Greta out of the pack so she could chase some pigeons. I sat down on the steps for a break and was quickly told that was not allowed. No loitering! 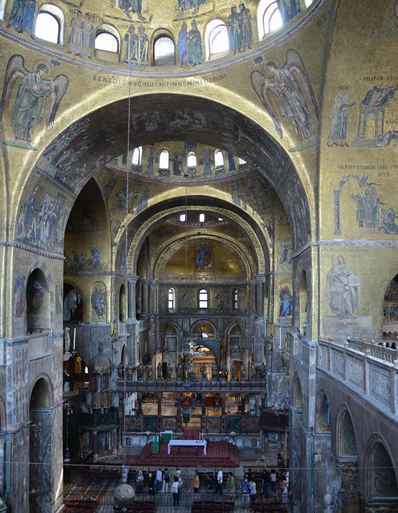 One of the highlights of the square is the Basilica San Marco. 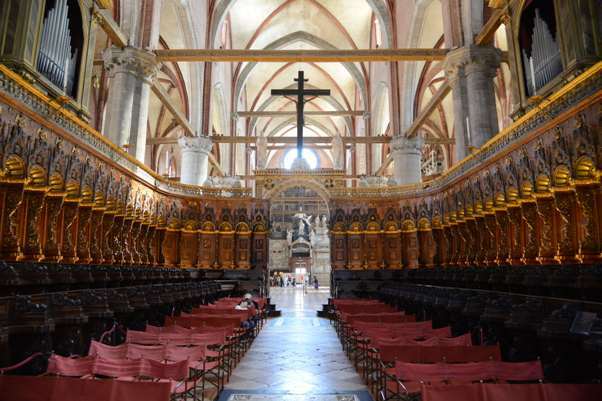 There was a small line to get in and admission to the nave was free. If you wanted to go into any of the more interesting places then you had to pay. There were small cashiers at the entrances of each area. We chose to only pay for one and that was the climb to the outer balcony. At the top of the stairs was a balcony overlooking the nave, and I snapped the right photo. On such a nice day, the small fee and stairs were worth the views. 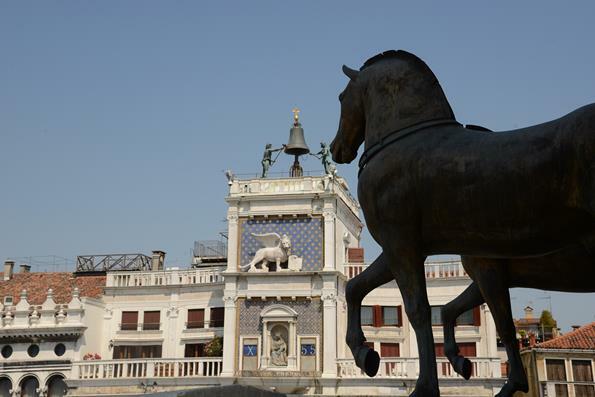 The horses on the facade were captured from Constantinople during the fourth Crusade. The one (one of four) in the picture is a replica, but the original is just inside the church on display out of the weather. 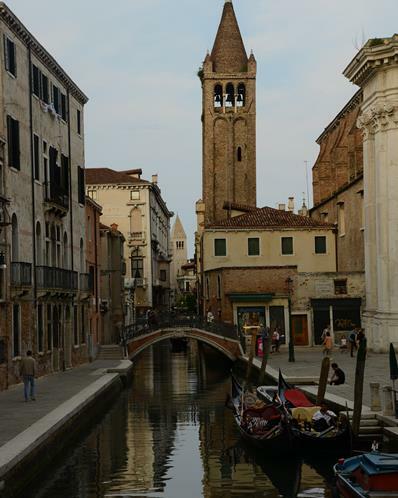 The tall tower is the Campanile. The Clock Tower dates from the 15th century. 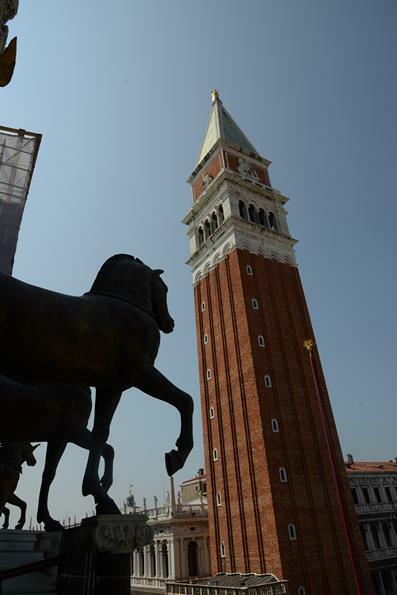 The winged lion of St. Mark with the open book is the symbol of Venice and is seen everywhere in the city. As we were in the church the hordes of tourists continued to fill the square. Before entering the church the line to the Campanile was short, but in only an hour it grew very long. 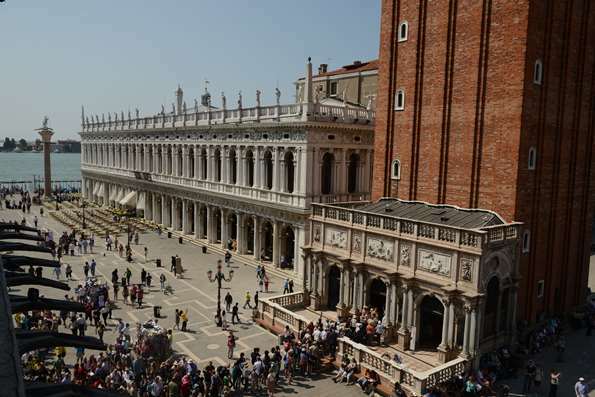 The photos are still from the church balcony, but looking south over the Piazzetta San Marco, the small St. Mark's square. 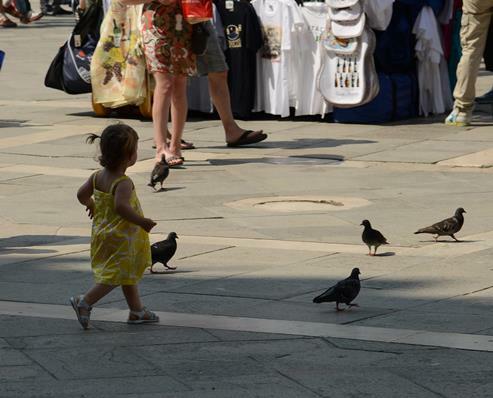 After the St. Mark's Cathedral we let Greta run around a bit to chase some birds around the little St. Mark's Square. For our daughter this IS vacation. 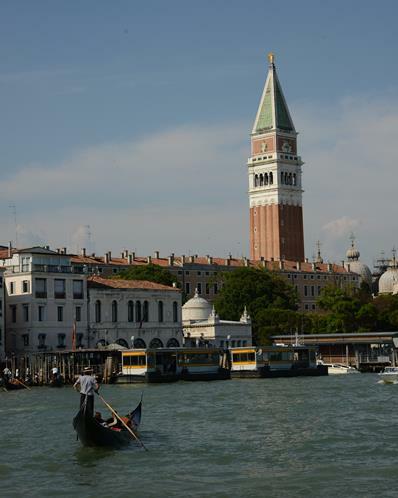 Along the water by the Piazzetta San Marco you can get some classic Venice photos. What better way to celebrate a morning chasing pigeons than with a nice ice cream! 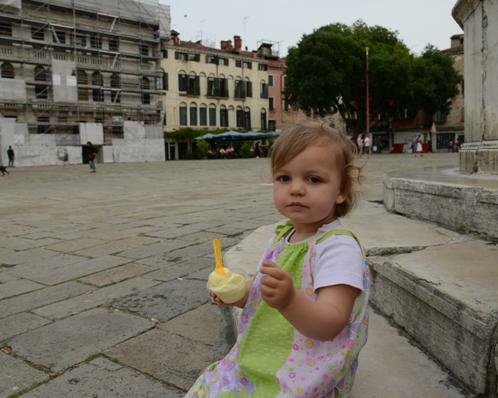 After a refreshing ice cream we began making our way back to our apartment for nap time. 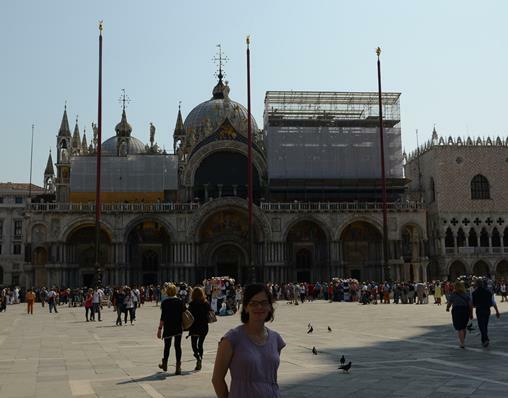 In the afternoon we headed back to San Marco to finish the walking tour. First up was the Campiello Novo, or Square of the Dead. I'm sure there was some significance, but now it's just one of the millions of small squares sprinkled throughout the city. 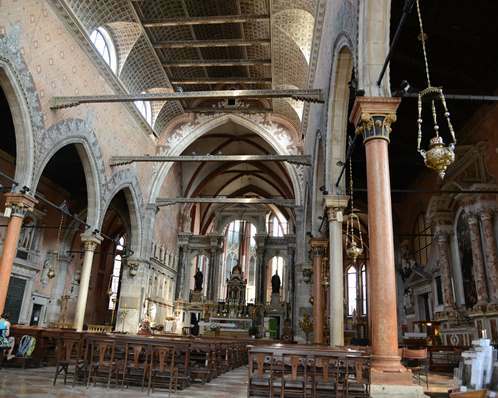 Next up was the Chiesa di San Vidal, which as you can see has a lovely interior. 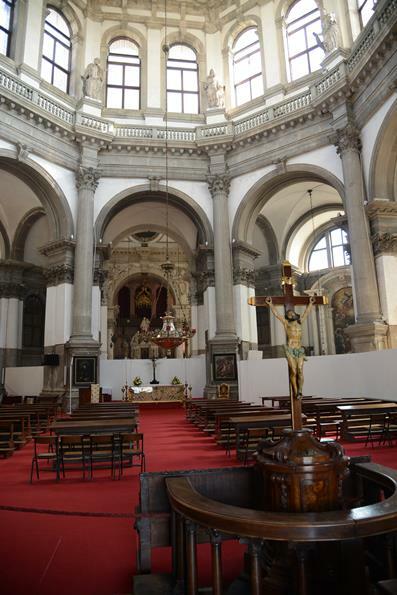 It used to be a church, but now is a concert hall. 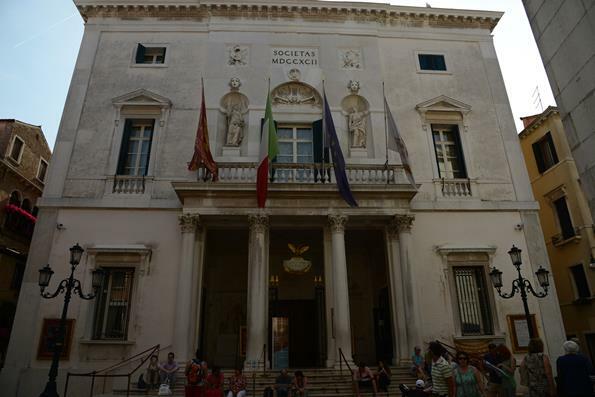 Here is the Teatro La Fenice. We didn't go inside so you'll have to click on the link to see shots of the interior. 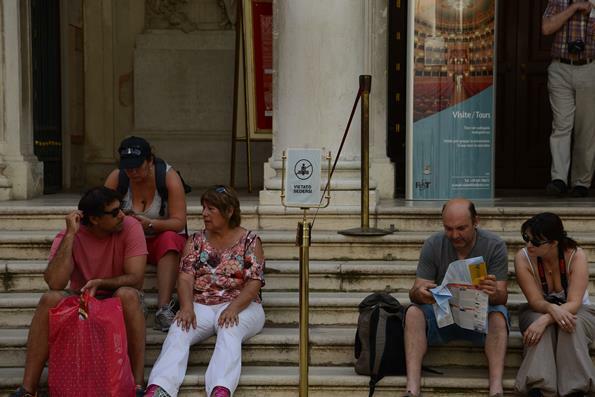 The right photo, and the reason for this entry, shows a bunch of tourists sitting next to the sign that says don't sit there. 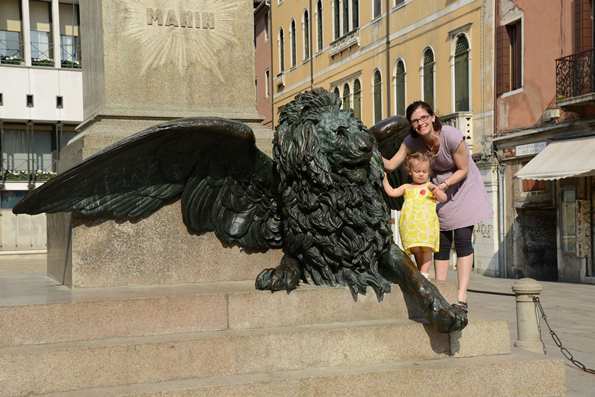 Here is Campo Manin, another nice square for Greta to chase some birds and to give daddy's legs a rest. 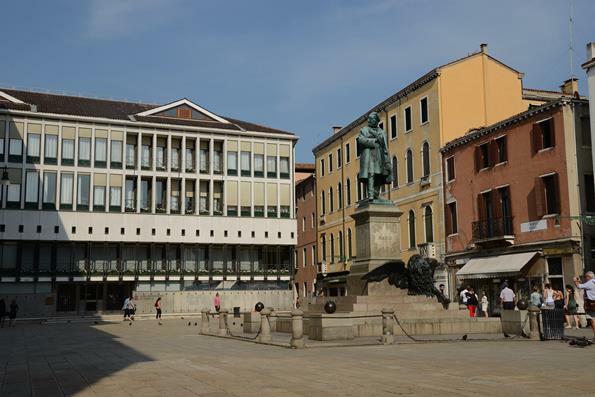 Manin was a famous Venetian patriot that resisted the Austrian advances in the 19th century and was a leader in the Italian unification movement. 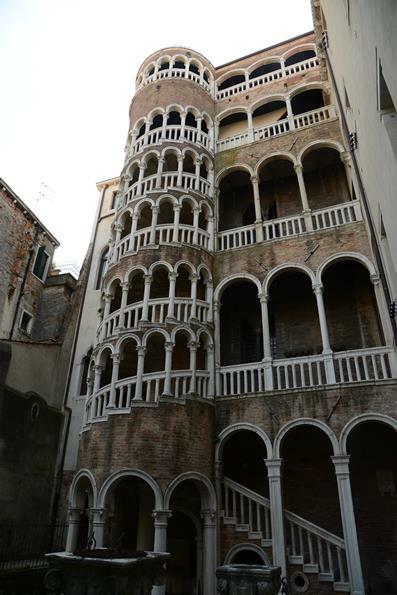 Nearby the Campo Manin is the improbable Palazzo Contarini del Bovolo. You go down a very narrow alleyway and come upon this amazing building that's now closed to the public. Only in Venice would something this incredible be hidden down a back alley. More importantly, there was cooking supply store a few meters away and Erynn got the cake display stand of her dreams. 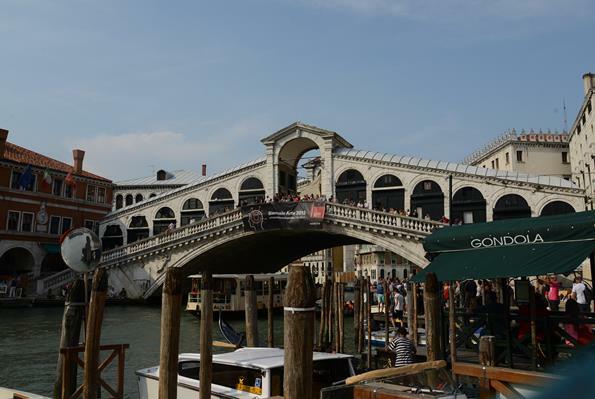 Our walking tour of San Marco essentially ended at the Rialto Bridge. 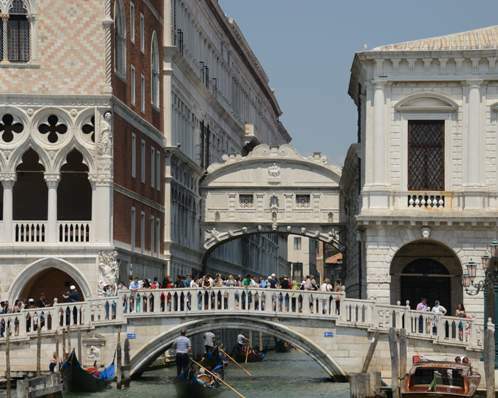 The areas between this bridge and St. Mark's Square are the most dense with tourists. 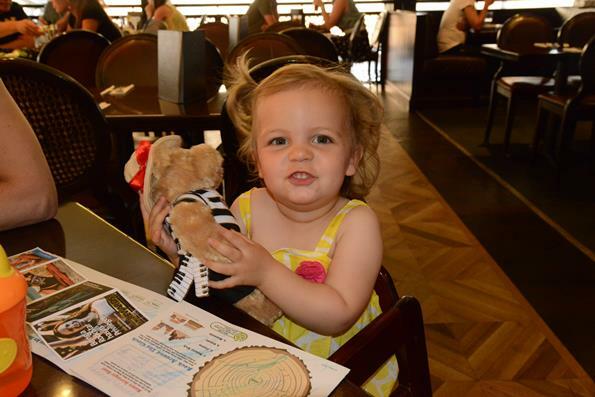 We ended our day with dinner at the Hard Rock Cafe where Greta got her first Hard Rock teddy bear! Afterwards we did a little shopping at Zegna and then it was back to the apartment. 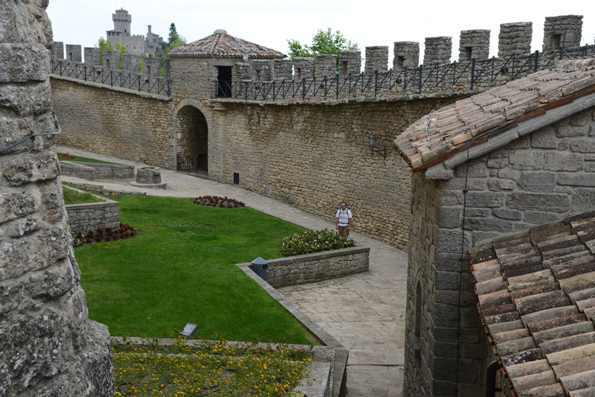 About 2½ hours south of Venice by car is the tiny country of San Marino. It is a tiny country of only 61 square kilometers and is the oldest surviving republic in the world. Nowadays you go there for financial reasons (ahem) or for tourism. 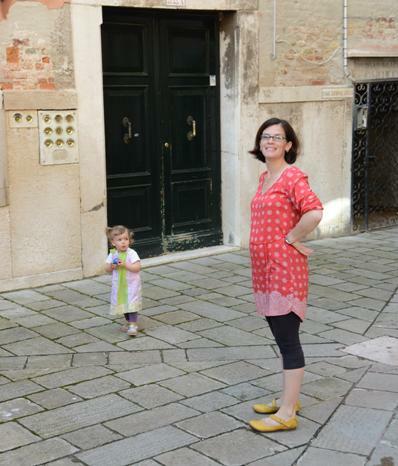 The fact that it is tiny and remote is a draw unto itself, and for us we could also get another passport stamp. So we rented a car for the day and headed south! 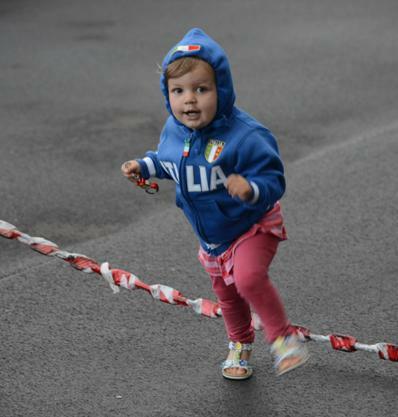 I'm sure it's more complicated than this, but it seemed San Marino was made up of two parts. The newer section where most of the modern commerce happened and the old city on the mountain where all of the tourists go. We drove into the country from the highway at Rimini. You wind your way through the modern part to the base of the mountain. 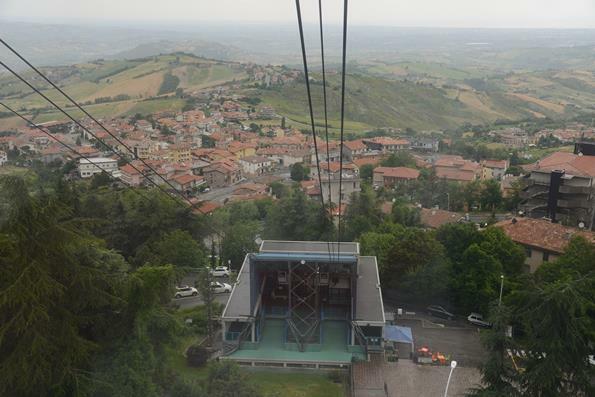 Then you park and take a cable car (Funivia) up to the top. It is also possible to drive all of the way to the top, but we opted for the cable car since that just sounds better. 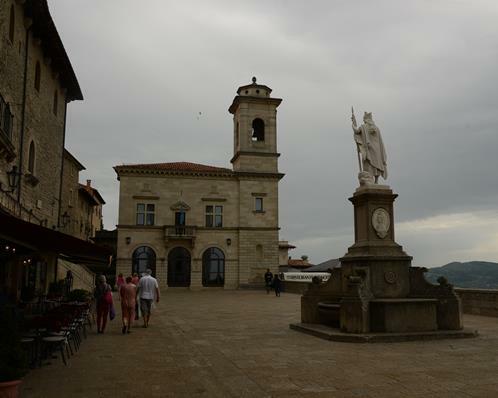 The first main square you happen upon after the cable car is the Piazza della Liberta. There are a couple of imposing buildings including the Public Palace (right photo). There also is a small changing of the guards for the tourists. 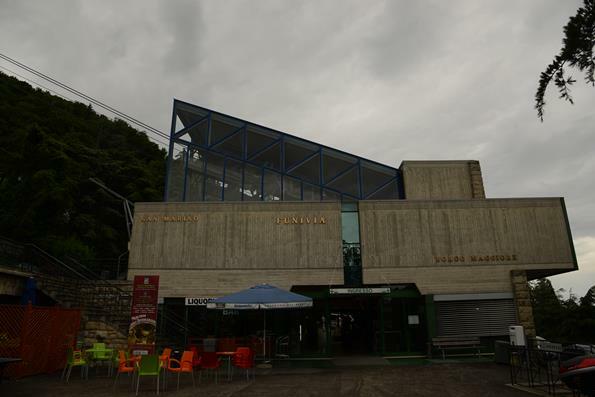 It was about to pour down rain so we went into the Ristorante Titano for lunch. 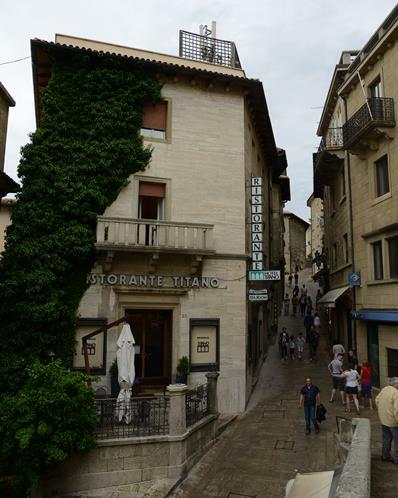 It was lovely so go there if you find yourself in San Marino, and the waiters were in love with Greta. Titano is the name of the mountain the old city sits on. 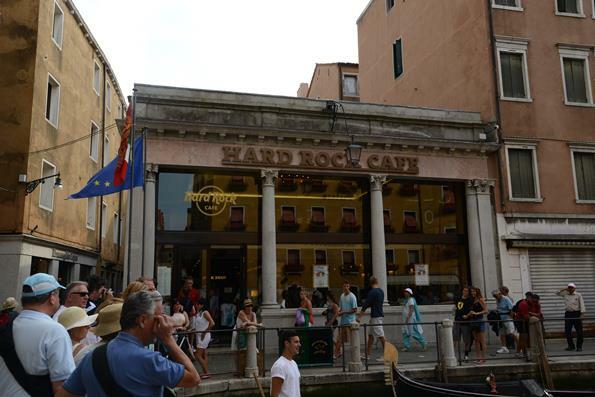 The photo on the right shows the nondescript tourist office across from the restaurant. 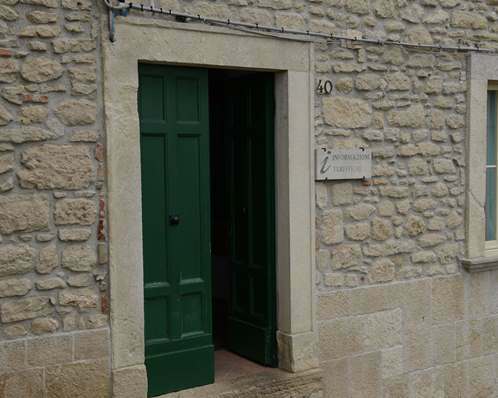 This is where you can get your passport stamped for €5. 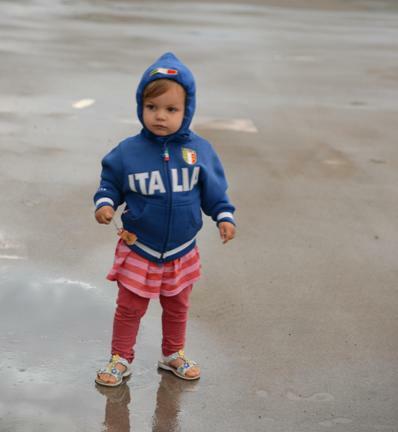 Country number 21 for our little 2-year old! 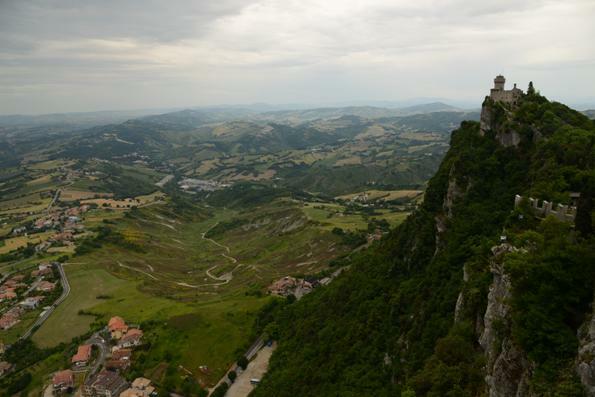 San Marino is famous for its three towers lining the face of the mountain. It is in their Coat of Arms, and popular with the tourists. 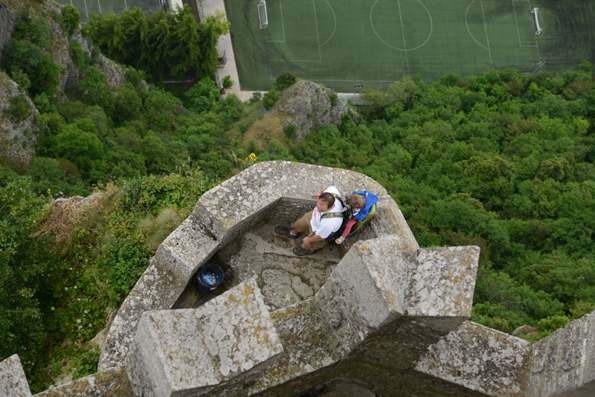 It seems most people visit the first tower, Guaita, that is closest to the old town center. We only took time to visit this first tower. 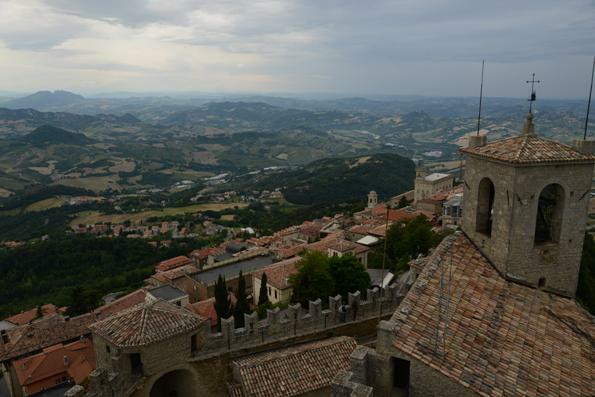 A couple more photos of San Marino from the top of the tower. 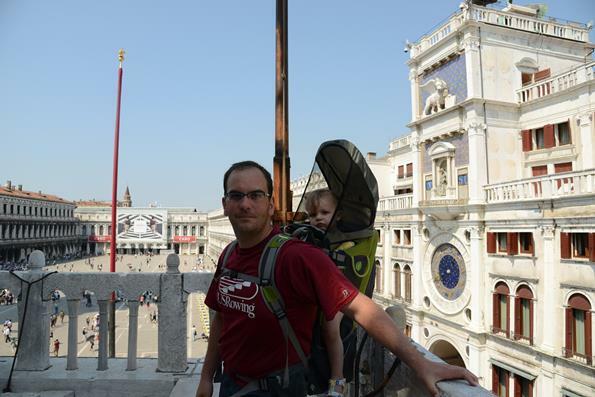 We walked around a little bit more but it was getting cold and late so we headed back to Venice. The old town has a lot of shopping and a few strange museums like the Vampire Museum, Torture Museum, and Museum of Curiosities - none of which we visited. It was Sunday evening and the traffic heading back, between Rimini and Bologna, was horrific. But we made it and parked our rental car in the garage in Venice. I took these photos from the top floor. In the left photo are a couple cruise ships. The city has a love-hate relationship with these behemoths. They bring in money, but are very bad for the lagoon environment. 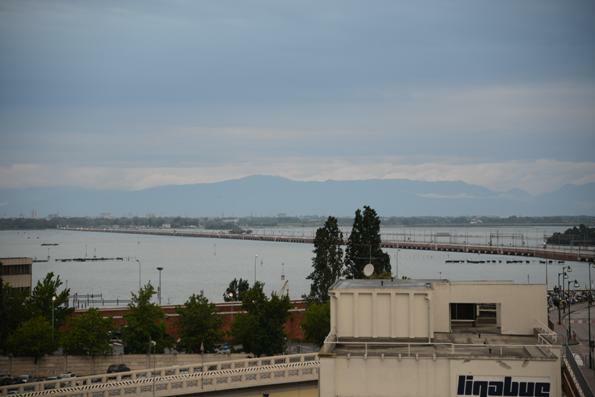 The right photo shows the causeway connecting Venice with the mainland. At an off time driving into and out of the city was no big deal. 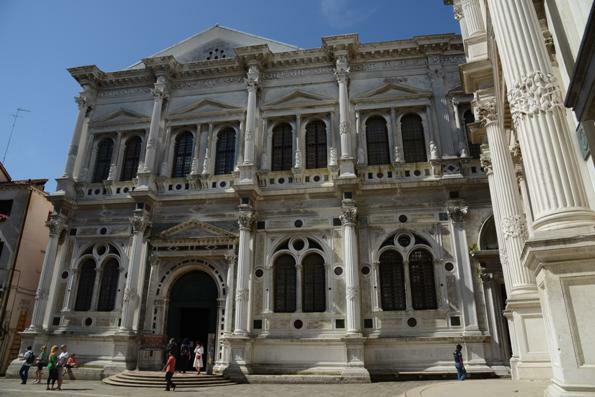 For our last full day in Venice we did another walking tour of the San Polo & San Croce sestieri. 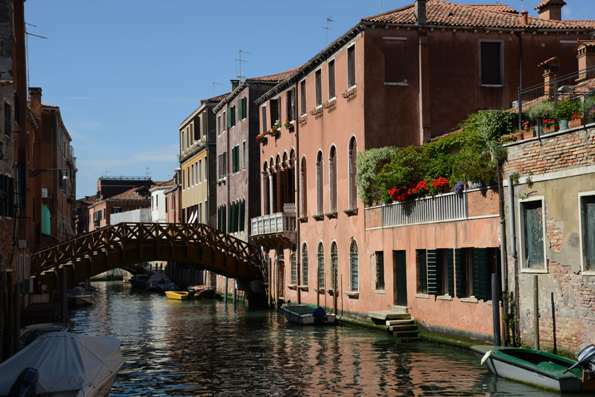 Our tour started after crossing the Rio di Ca' Foscari, and the area seemed to be very well maintained and beautiful. Honestly, I just stopped taking photos at one point because almost every corner and turn revealed another pretty building with glowing sun. The family was happy too! 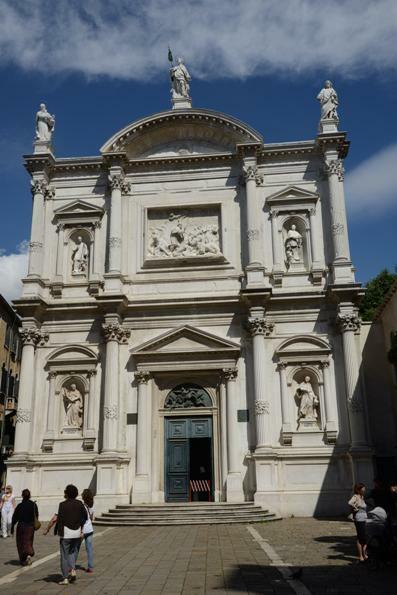 Right: Chiesa di San Rocco - built for the patron saint of plague victims. 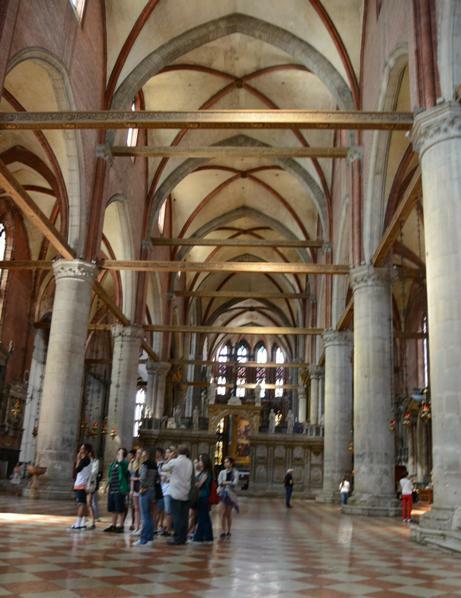 The highlight of this neighborhood is the Basilica di Santa Maria Gloriosa dei Frari, or simply known as I Frari. 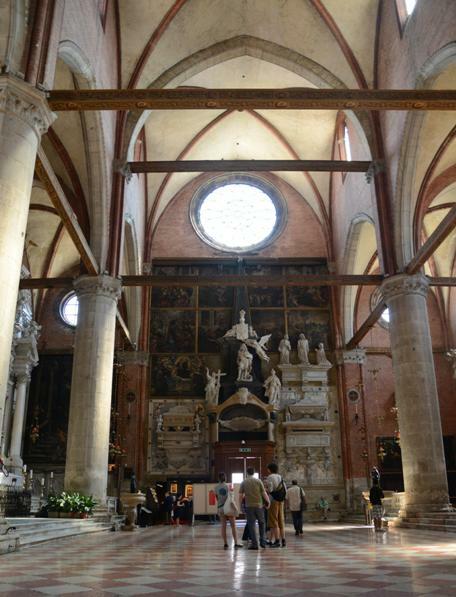 The left photo shows the main entrance and the right photo shows the Nave. 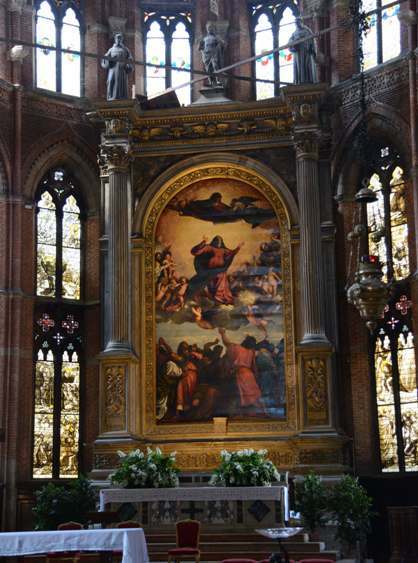 The most famous artwork in the church is the brilliant altar piece by Titian from 1516-1518. The rest of the building wasn't too bad either. 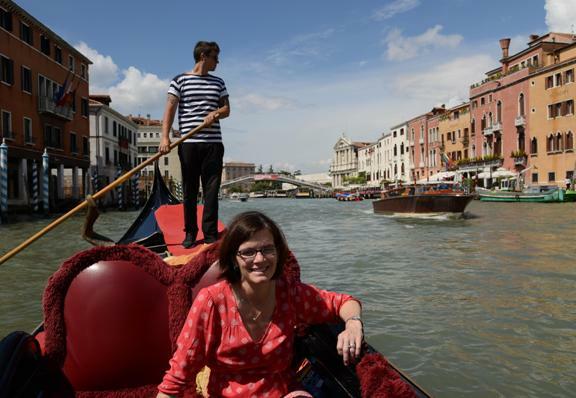 On any Venetian itinerary a gondola ride is in order. Our trip was no exception. However, our child was more fascinated with the water and I spent most of my time with my hand on her back keeping her from falling in. Not quite the romantic experience we were hoping for, but it was relaxing and fun nonetheless. 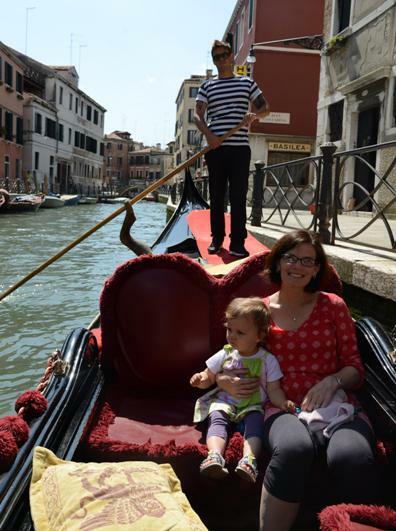 More fun in the gondola! After the ride we headed back to the apartment for an afternoon nap. 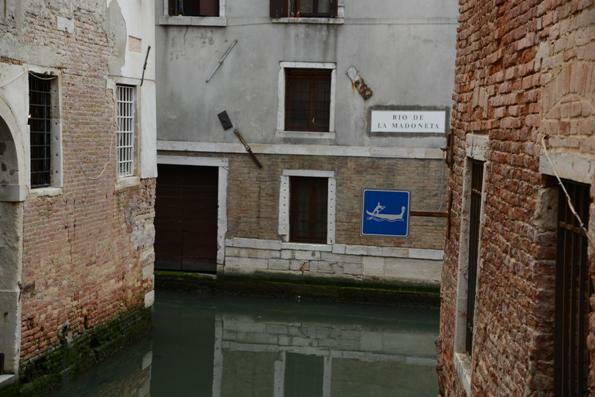 Another "I just needed a photo of this" was the beware of gondola crossing sign. We took a short break in Campo San Polo. 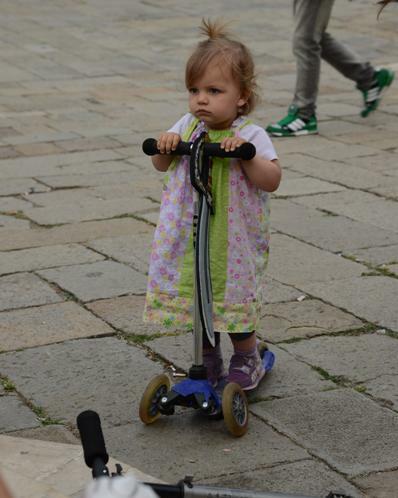 Greta took possession of a stranger's scooter and wouldn't give it back. She couldn't make it go. She just wanted to stand on it. We tried plying her with ice cream, which worked for a few minutes. Unfortunately, she has a good memory and when she was done went straight back to the scooter. 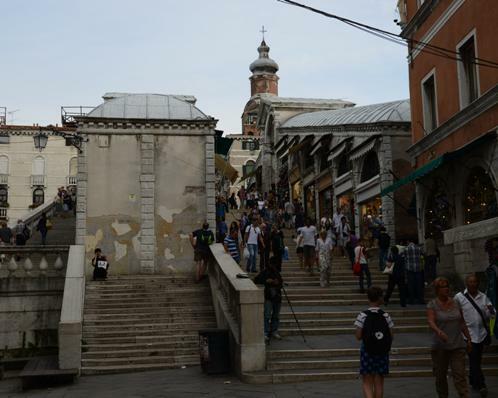 The end of the walking tour led us to the Rialto Bridge and the Chiesa di San Giacomo di Rialto. 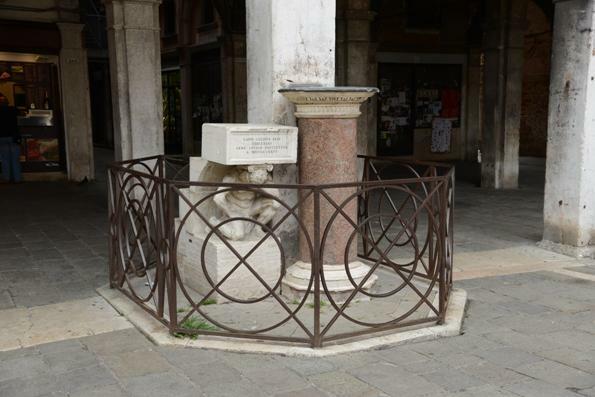 In the square across from the church was this small platform known as Il Goboo. The statue is from 1541(!) and the podium was used for official proclamations. It was also used as the finish line for a gauntlet for criminals. Rubbing it was meant to bring good luck, which is now why no one can touch it. 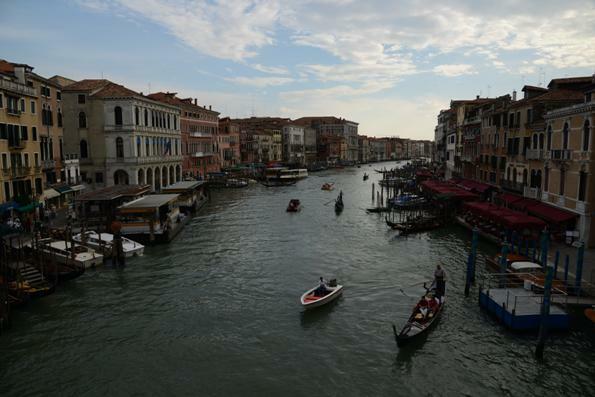 The Rialto Bridge is now just a bunch of souvenir shops, but it does offer some nice views of the Grand Canal. The unplanned surprise of the trip happened on our last morning in town. 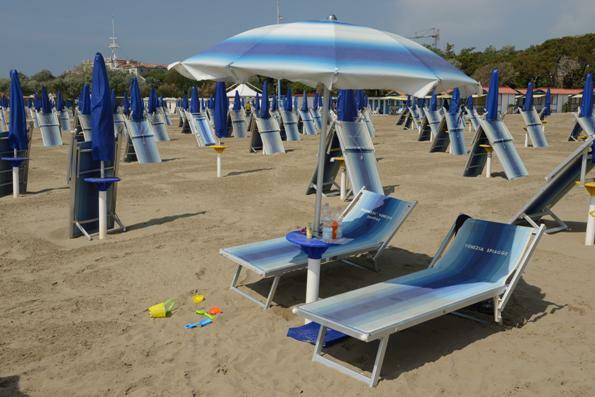 The weather was forecast to be nice, and according to the guide book the Lido beach was supposed to be nice. It was Monday morning and we had enough time so we hit the beach. To get there we took the vaporetto water bus. Like any bus we could see the island we were going to, but since there were so many stops it took over half an hour to get there. From the dock it was about a mile walk to the other side of the island and the beaches. The beach was surely fun, but on the way back I was able to take some really cool pictures of the city. You be the judge. After our water bus ride we headed bag to the apartment for one last nap and then to the airport. 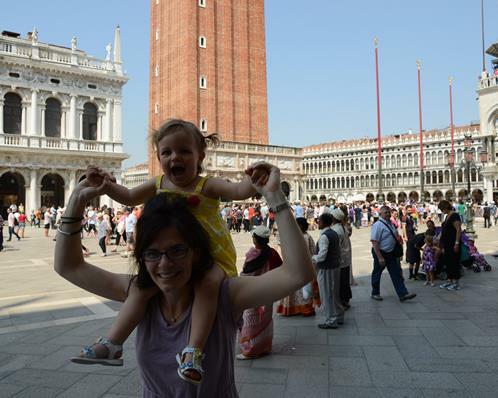 We liked Venice.